You could find all your closed receipt here by days. You could also do a search by receipt number or customer name. 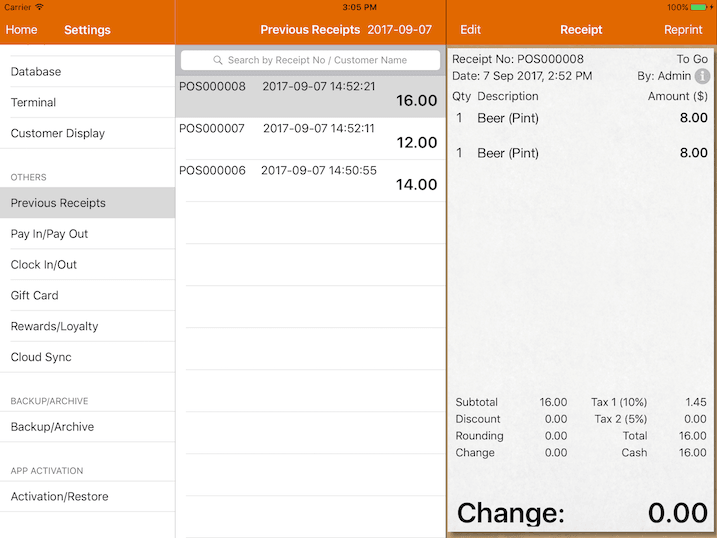 Option to reprint, email generate invoice for the bill. Click on Edit button on top. Reopen Bill - Reopening the bill will remove the payment made for the bill. Upon reopen, you will find the bill under cash register again. Void Bill - Void the bill and remove it's sales from report. Refund Bill - Select items from the bill and refund your customer. Delete selected bill entirely from system. Deleted bill number will not be reused. This feature is only available upon request.